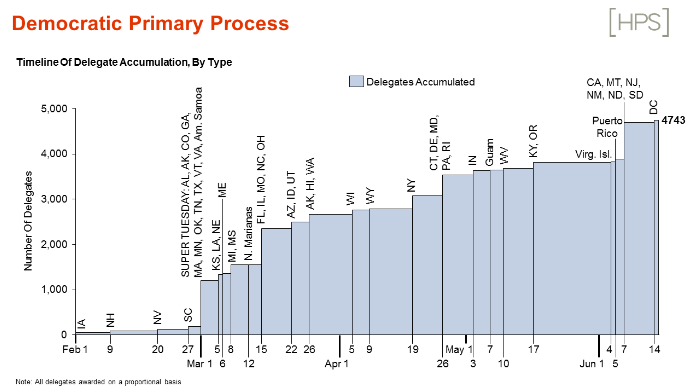 Ahead of the official kick-off to primary season, we plotted out a chart to demystify the delegate selection process. We also sat down with Ben Ginsberg, of Jones Day, to go behind the numbers and look the details of how and when the votes happen. 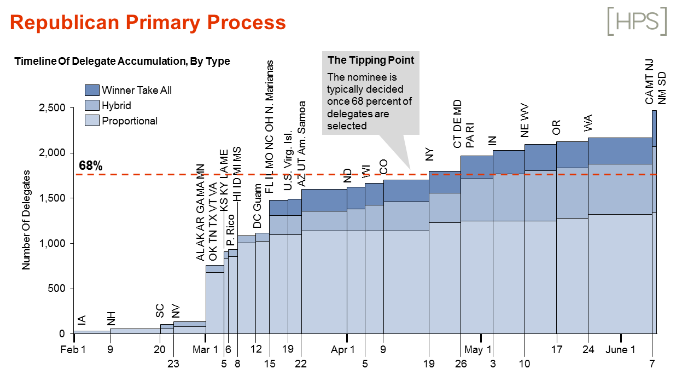 April 19th marks this year’s tipping point for the Republican nomination, or when the 68% of delegates typically needed to determine a nominee are selected.